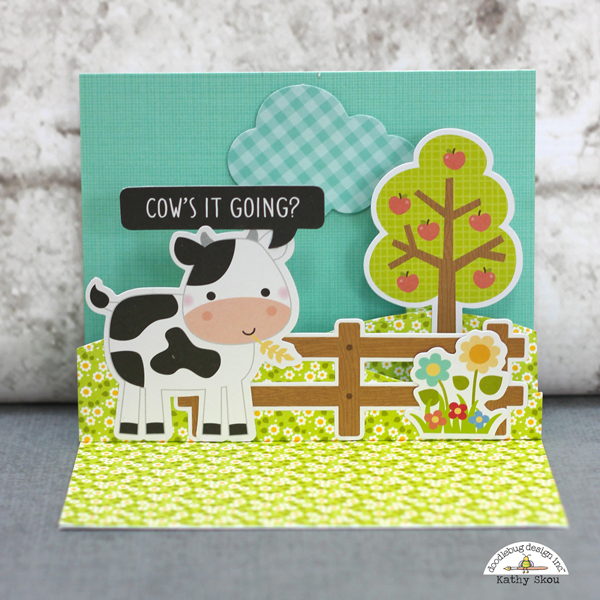 Today I'm excited to be kicking off a couple of weeks of Down on the Farm projects! 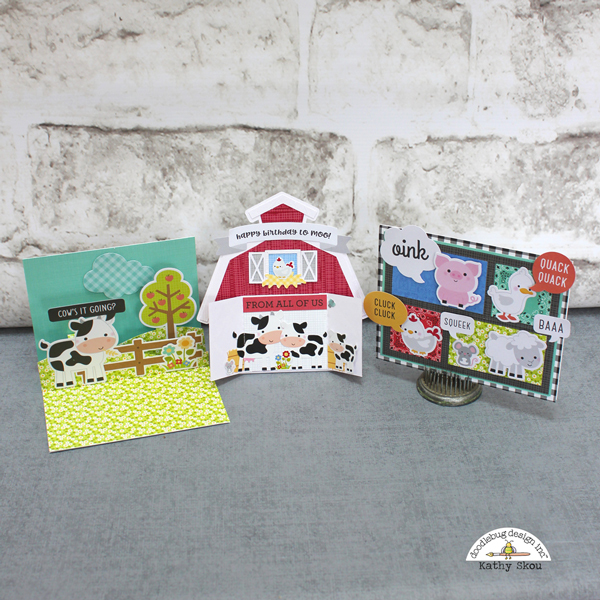 I was so happy to get this collection, the critters, the papers, the colors.... all "udderly" irresistible! There were so many goodies to choose from I had a hard time narrowing down my selections! Finally I did, and made these "moovalous" cards! I laughed out loud when I saw the "Cow's it Going" Chit Chat piece. I made a fun pop up card using papers from the 6x6 Down on the Farm Papers and the other embellishments are from the Odds & Ends Pieces. I decorated the front of the card as well, a little more simply to allow the inside to stand out, using Chit Chats and more papers from the 6x6 pad. 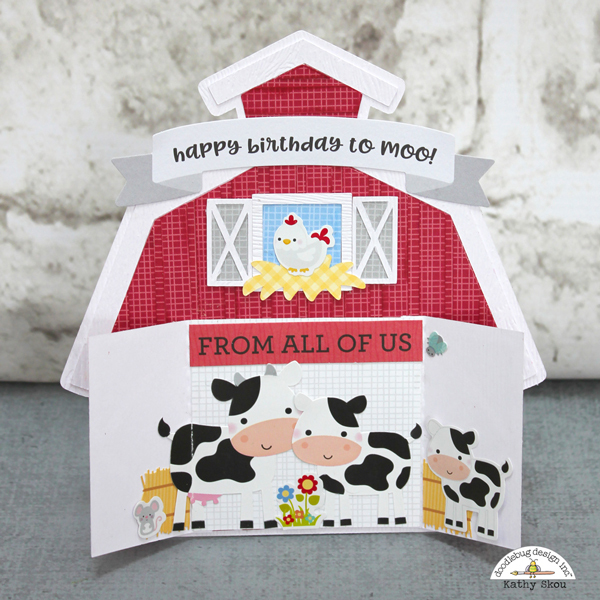 The base of my next card was made from the Down on the Farm Barn Cut file available in the Lori Whitlock SVG Shop. I added this easel piece to the back so that it stands on it's own. 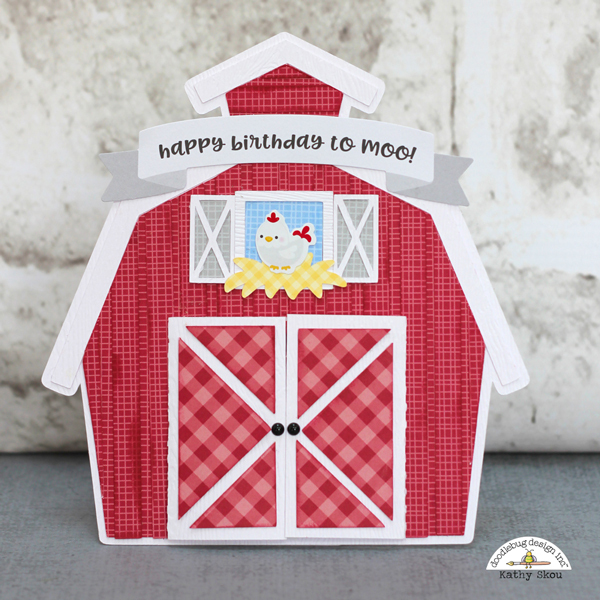 The barn was made from Gingham Linen Petite Prints I added some doors to the barn, and when you open it up, there is a fun surprise! The critters are from both the Icon Stickers Sheet and the Mini Icons Stickers. 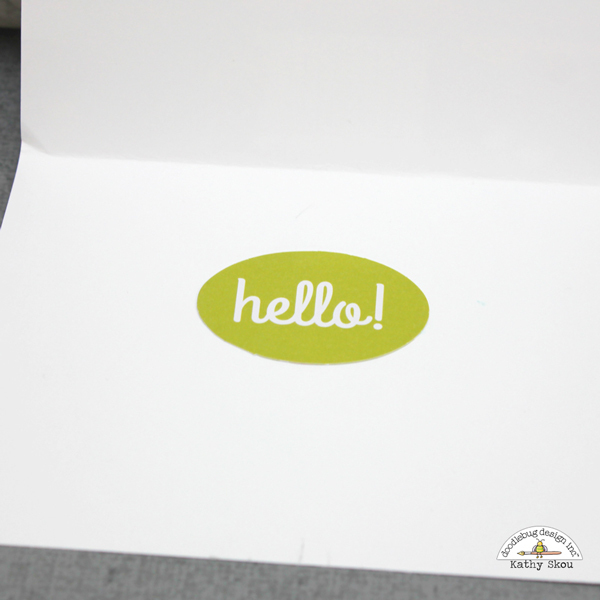 How adorable is that little fly sticker? So stinking cute! My last card showcases a number of the cute Odds and Ends critters (back to my inability to narrow down my choices...) I had them all say "hi" in their own way using the Chit Chat pieces. In case you don't speak "farm critter" I added another Chit Chat piece in the inside to translate for you. Be sure to check back over the next few weeks for more Down on the Farm inspiration. That's it for me today, thanks for stopping by to peek! These are the cutest thing ever. LOVE, LOVE, LOVE them!! !